Marta Williams Blog » Blog Archive » Learning Intuitive Communication.. Anyone can learn to communicate intuitively with animals and nature because we are all born with the ability. Along the way to adulthood it gets suppressed by societal taboos. For adults in most cultures today to follow your intuitive hits and hunches is deemed silly, childish, illogical, and something that only women do. The good news is you can recapture your ability fairly easily. There are some tricks to getting around all your cultural conditioning – that voice in your head that tells you that everything you are getting is made up, wrong, stupid, silly, and/or not logical…. After I learned how to do this, over 20 years ago, I set myself the task of learning how to teach this ability so that people could pick it up quickly with a minimum of frustration, blocks, or set backs. I now teach techniques that make it easy and ensure your success. No one goes away from my classes saying they didn’t get it or can’t do it. When you study with me you have options: you can take classes from me in person, or attend my online teleclasses and phone classes, work with me individually by phone, in person or by Skype, or host me to come and teach a workshop in your area. If you want to learn intuitive communication I would recommend you take my Professional Program. It is designed for those who want to be work as Animal Communicators full or part time, and for anyone who wants to become adept to use the ability to help animals in any capacity. 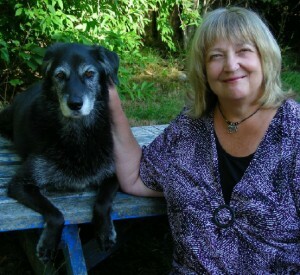 Core Curriculum: Beginning, Intermediate and Advanced Animal Communication, Medical Intuition and Energy Healing, Finding Lost Animals, Talking with Wildlife and Nature, Intuitive Animal Training, Animals as Teachers and Healers/Mirroring Between Animals and People, Death and Beyond, Talking with Horses, Counseling Animals and Their People. In addition to taking the Core Curriculum courses, you will commit to performing and recording 60 case studies. You can do this within your own time frame as quickly or slowly as you need to proceed. During the course of your case study work you will report back to me every 20 cases with details of your progress. We will assess how you are doing and, if needed, we will set up a private tutoring session to address any blocks or problems you experience. My hourly fees apply for this time. If you want to jump start your career in this field I have a Week Long Intensive coming up August 15 – 19 in Middletown, CA that still has some spaces open. My classes are listed on my website. Obama turned out to be the biggest disappointment of a lifetime for many of us. Now we face toxins and despots at every turn. Our economy and environment are in shreds, particularly in the US. It is like this is the testing ground, if it works here export it …. Fracking, Corexit, nuclear drift that no one does anything to stop. The questions is as always what to do? Answer: any and every the hell thing you can think of… and think outside the box. Use the comments section of the blog to tell your some of the cool websites you have found. 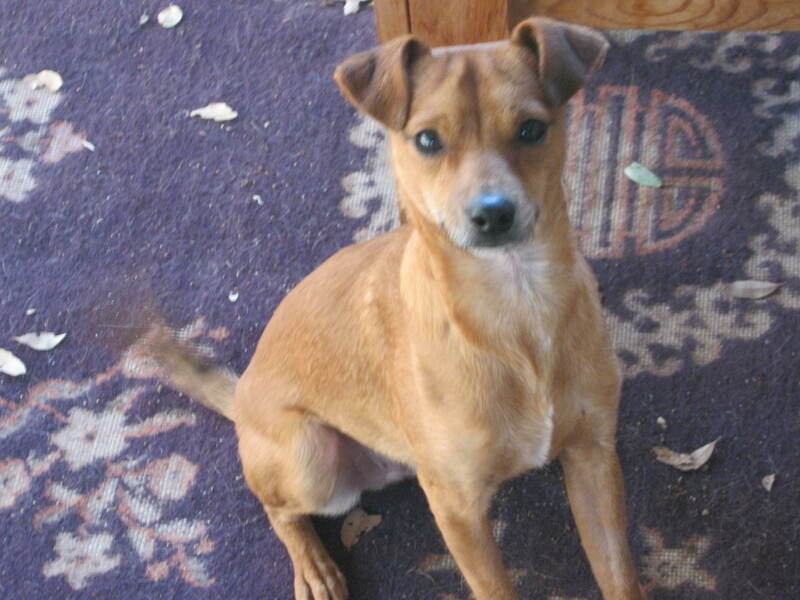 is a one year old Basenji mix, 10 lb. Jiordi is great with people and kids. He loves to play with dogs, is good with cats (but will still chase them if they run). He is very smart, house trained, and likes to go in a crate. He could turn into a great hiking, biking, and/ or horseback riding companion. Looking for someone who does holistic care and feeding who will take very good care of him forever. Carol to promote my books, and got great ideas and help from her. Carol also has a story in my latest book, My Animal My Self, of how her dog was her healer and helped her recover from cancer surgery. Dear Carol you are missed and you were loved. Hope you are having a blast in the land of spirit. If you like this blog please share it. As usual I LOVE LOVE LOVE your blog, Marta. Shared on fbk. I am doing catsitting at my home or others. If at other homes I can stay if not too far from my home. Cats can stay with me at my home for long vacations or short periods. One or two from same family. They will be safe indoors. Guaranteed!!!! I am trained to be super vigilant by my experience with the many indoor cats I have had, some who used to be outdoor cats or part feral who I kept indoors for safety!!! I have a kitty “patio” (made of aviary wire) outside kitchen window (enclosed space). I love to play and talk to cats. I adore cats! They can sleep in bed with me if they like! Wendy Zeigler 707-762-1312, art.kids.classes@gmail.com I am on the west side of Petaluma. http://www.wendyzs.com. Thank you! Marta, I am truly impressed with everything you do to better the live of animals, people and especially the earth. Thank you! !